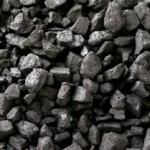 Coal industry in flux (0) September 12, 2012 As low coal prices bite, miners lay off hundreds of staff, and operations close, the coal mining market continues to struggle. 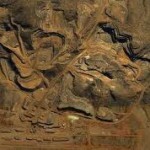 Ravensworth and Ulan mines earmarked for Xstrata job cuts (0) September 11, 2012 The Construction, Forestry, Mining and Energy Union says Xstrata intends to axe around 30 jobs from the Hunter Valley as part of wider job cuts at the company. 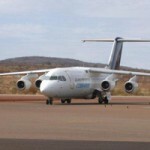 Release FIFO inquiry quickly: Doctors (0) September 11, 2012 WA Doctors say the Federal Government should produce an interim report on its fly-in fly-out inquiry so communities can deal with FIFO workers before the boom ends. 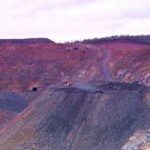 Metallurgical layoffs were planned: Roy Hill officials (0) September 11, 2012 Metallurgical workers laid off from Gina Rinehart’s Roy Hill project last week had reached the end of their contracts and weren’t cut to save costs, according to company officials. 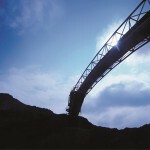 Coal mining cuts ‘drive home reality’, QRC says (0) September 11, 2012 The dual announcement of Xstrata’s job cuts and BHP Billiton’s closure of the Gregory mine has “sent a clear message to the government”, the Queensland Resources Council says. 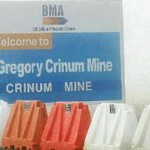 CFMEU condemns BHP for Gregory Crinum mine closure (0) September 10, 2012 The CFMEU has slammed BHP following its announcement of the closure of its Gregory Crinum coal mine. 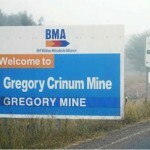 BMA to close Gregory mine (50) September 10, 2012 BHP Billiton has announced it will shut down its Gregory coal mine. 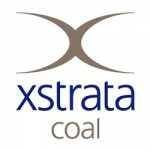 Xstrata to slash 600 jobs (0) September 10, 2012 Xstrata has announced it will be cutting 600 jobs across its Australia coal operations. 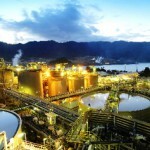 St Barbara miner dies (23) September 10, 2012 A miner has died at St Barbara’s Simbero gold operations in Papua New Guinea. Unions fight for Tarkine mining (0) September 10, 2012 The Australian Workers Union is fighting against plans to list sections of Tasmania’s Tarkine wilderness as heritage sites. 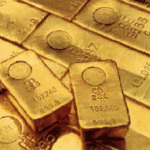 Gold sector still positive despite worries (0) September 10, 2012 While gold output fell in the past financial year compared to the previous period the Australian gold sector is sill looking positive. 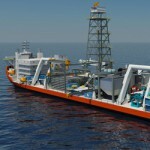 BHP completes Richards Bay sale to Rio (0) September 10, 2012 Rio Tinto has doubled its holding in Richards Bay Minerals after buying BHP’s share for US$ 1.91 billion. 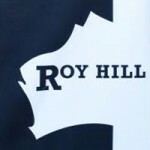 Jobs cut at Rinehart’s Roy Hill (0) September 7, 2012 Just days after spruiking the jobs benefit of the Roy Hill mine rumours have emerged Gina Rinehart’s Hancock Prospecting has sacked workers on the project to cut costs. New speaker for safety conference (0) September 7, 2012 RCT executive Noel Northcott has joined a host of industry leaders, including WA Mines Minister Norman Moore, on the speakers list for the upcoming Australian Mining safety conference. WA will need another 100,000 workers: Barnett (0) September 7, 2012 Western Australia Premier Colin Barnett says the state’s resources sector will need another 100,000 skilled workers in the future. 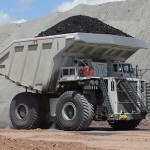 Peabody refutes delay on mine sale (0) September 7, 2012 Peabody Energy has hosed down rumours it’s looking to defer the sale of the Wilkie Creek mine in Queensland due to a lack of interest. 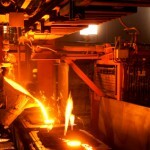 Rio Tinto’s New Zealand smelter to axe jobs (0) September 7, 2012 Rio Tinto’s New Zealand Aluminium Smelters has announced it will axe 100 jobs by November. 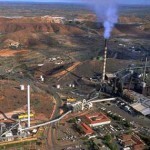 Rio to cut jobs at Gove aluminium mine (0) September 7, 2012 Rio Tinto is cutting jobs and costs at its Gove aluminium operations in the Northern Territory. Coal train derailed (166) September 7, 2012 Investigations have begun into the derailment of a fully laden Pacific National coal train earlier this week. 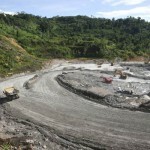 Lynas wins licence, beats expectations (0) September 6, 2012 Troubled rare earths miner Lynas Corporation has beaten analyst predictions and won a temporary operating licence for its processing plant in Malaysia. South African miners threaten to kill management (0) September 6, 2012 Marikana miners have threatened to kill Lonmin management unless they stop operations at the platinum mine in North West. 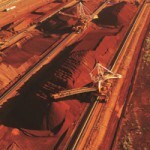 Iron ore isn’t dead yet (0) September 6, 2012 Despite a very modest bounce last week, iron ore prices returned their worst month since October 2011 in August, falling 24%. 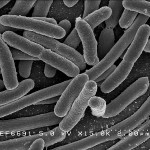 Vale developing “copper eating” bacteria (0) September 6, 2012 Mining giant Vale has teamed up with the University of São Paulo to identify “copper eating” bacteria that can help mine mineral waste. 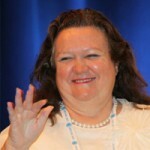 Rinehart spruiks foreign workers (0) September 6, 2012 Mining magnate Gina Rinehart says the plan to bring over a thousand foreign workers to the Roy Hill mine in the Pilbara will help Australia grow. 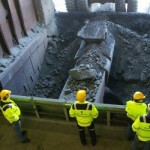 FLSmidth acquires two companies (0) September 6, 2012 FLSmidth has acquired MIE Enterprises and Mayer Bulk. 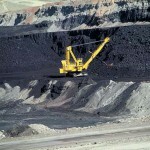 WDS wins BHP coal contract (0) September 6, 2012 WDS has been awarded a contract for BHP Billiton’s Dendrobium coal mine. Anti coal protests hit the Hunter (0) September 6, 2012 Anti-coal protestors have scaled a crane at a coal loader construction site in Newcastle. 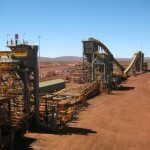 Shaky FMG cuts jobs, expansions, and assets (0) September 5, 2012 Fortescue Metals Group has deferred some expansions, sold assets, and cut hundreds of jobs in an effort to stay profitable. CSIRO rejects APPEA claims (22) September 5, 2012 The CSIRO says the Australian Petroleum Production and Exploration Association has misrepresented its research on coal seam gas. 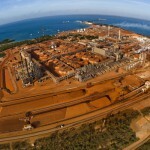 Rio reaffirms Pilbara push (0) September 5, 2012 Rio Tinto Pilbara iron ore head Greg Lilleyman has reaffirmed the miner’s commitment to the Pilbara as Fortescue and BHP cut back their operations. As miners go offshore so will the jobs: Rinehart [video] (0) September 5, 2012 Mining magnate Gina Rinehart says Australia is too expensive and too many companies are now looking overseas to start new mining projects. 5 pictures of a mine 400km north of the Arctic Circle (0) September 5, 2012 Most mining developments are built in isolated locations, but this mine 400km north of the Arctic Circle takes inhospitable to a whole new level. 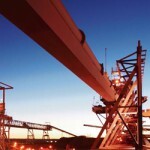 Engineer slashes job in wake of BHP cutbacks (0) September 5, 2012 A joint venture between Sinclair Knight Merz and Fluor has been forced to cut a third of its workforce as BHP halts its Pilbara expansions. 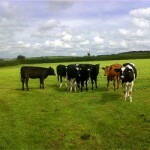 Why conservationists should blame farmers, not miners, for destroying our woodlands [opinion] (0) September 4, 2012 Whilst most conservationists blame mining for threatening the forests and woodlands of NSW, the facts prove otherwise. 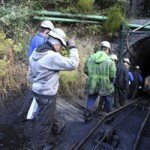 Italian miners win coal mine occupation battle (0) September 4, 2012 Italian miners who had stolen explosives and barricaded themselves inside their mine have won their battle to stop the operation being shut down. Angry CFMEU locks horns with QRC (0) September 4, 2012 The Construction, Forestry, Mining and Energy Union has written to the Queensland Resources Council to demand the lobby group drop a proposal to weaken union power. Top 5 stories of August (0) September 4, 2012 August was a month of unusual accidents, surprise decisions and massive job cuts. 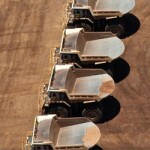 It’s all here in Australian Mining’s top five. 5 scary underground mining pictures (2) September 4, 2012 Whilst Australia’s industry is among the safest in the world, underground mining can be an intimidating job. 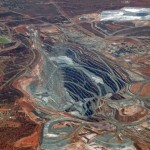 Rio cuts jobs at Argyle diamond mine (0) September 4, 2012 Rio Tinto has announced it will cut staff numbers by nearly a fifth at its Argyle diamond mine. 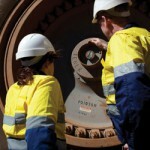 Forge wins Rio Tinto power contract (0) September 3, 2012 Forge has won a $280 million contract to deliver power for Rio Tinto in the Pilbara. People don’t work hard anymore: Atlas boss (0) September 3, 2012 Atlas Iron boss David Flanagan says hard work is no longer celebrated in Australia and overinflated wages have spurred too many workers into a “feeling of entitlement”. 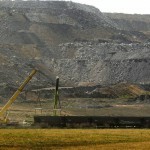 China to shut more than 600 coal mines (0) September 3, 2012 The Chinese Government has announced it will shut hundreds of coal mines across the country. 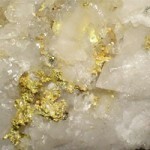 ASIC fines Barrick Gold (0) September 3, 2012 Eight subsidiaries of Barrick Gold have been fined a total $127,000 for failing to lodge documents with the Australian Securities and Investments Commission. Coal miners march to protest mine closure (0) September 3, 2012 New Zealand coal miners will march against Solid Energy’s decision to close its Spring Creek mine. 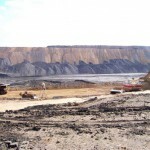 Doubts cloud Rinehart’s Roy Hill mine (0) September 3, 2012 Work on Gina Rinehart’s Roy Hill mine in the Pilbara is progressing slower than expected and is facing a further cost blowout to the tune of $1 billion. 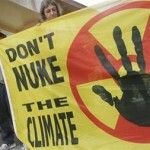 States see mixed response to uranium mining (0) September 3, 2012 The Queensland Resources Council has called on the state government to lift the ban on uranium mining while WA is seeing opposition to its uranium mining. 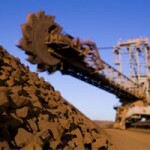 Iron ore will fight back: analysts (0) September 3, 2012 While the falling iron ore price is expected to steal around $1.5 billion from the WA Government’s budget, analysts say the industry will soon make a comeback. BMA and unions finish talks (0) September 3, 2012 The CFMEU and BMA have reached an end to their mediation sessions. 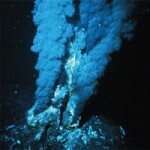 India looks to deep sea mining (0) August 31, 2012 India is building a processing plant and investing in exploration equipment in an attempt to mine rare earths and other minerals under its oceans. 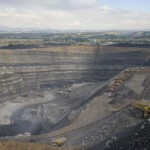 Coal mine to close, cut jobs (0) August 31, 2012 New Zealand’s Solid Energy has announced it will suspend operations its Spring Creek coal mine and cut jobs at Huntly East. 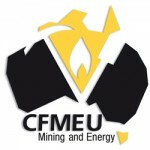 CFMEU threatens strikes across all coal mines (0) August 31, 2012 The Construction, Forestry, Mining and Energy Union has threatened to spark strikes across all Queensland coal mines if changes are made to safety guidelines. Monadelphous wins BHP contract (4) August 31, 2012 Monadelphous has won a $75 million construction contract for BHP’s Jimblebar iron ore mine. 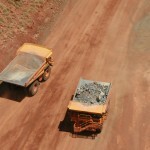 QLD Mines Department cuts 400 jobs (0) August 31, 2012 Over 400 positions in the Queensland Department of Natural Resources and Mines have been made redundant as part of the Newman Government’s public service cutbacks. WA opens new mining training facility (0) August 31, 2012 The West Australian Government has opened a new mining and engineering fluid power training facility. Pacific National opens new Nebo train facility (2) August 31, 2012 Asciano’s coal division, Pacific National, has officially opened its new $180 million train maintenance facility in Nebo, Queensland. 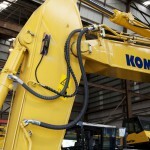 Worker sacked for not following safety rules (0) August 30, 2012 A worker at Newmont’s Waihi gold mine in New Zealand has been sacked after a review found they failed to follow safety procedures during an underground fire. Stop being so lazy if you’re jealous of my money: Rinehart (0) August 30, 2012 Mining magnate Gina Rinehart says those jealous of her fortune should “spend less time drinking or smoking and socialising, and more time working”. 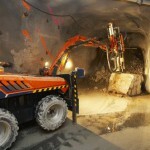 Boart Longyear backtracks on mining outlook (0) August 30, 2012 Boart Longyear CEO Craig Kipp has revised previous comments on the strength of the mining industry, and says the sector is now in a “state of flux”. 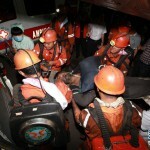 Underground explosion kills Chinese coal miners, leaves 44 trapped (0) August 30, 2012 An explosion at an underground coal mine in China has killed nine miners and trapped another 44. 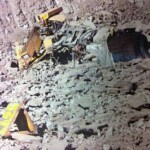 Blasting accident destroys dozer at Saraji (2) August 30, 2012 A blasting accident earlier this week at BMA’s Saraji coal mine has destroyed a Cat D11 dozer. 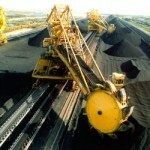 Aussie miners will “hurt the most” from US competition (0) August 30, 2012 Australian miners will be “hurt the most” as companies in the United States start exporting more coal to China, say Bank of America analysts. Port Bonython explosive plant plan dropped (0) August 30, 2012 An Indian company that planned to build an explosives manufacturing plant in Port Bonython has pulled out. Day two of M&E exceeds expectations (0) August 29, 2012 As day two of M&E NSW winds down, event organisers have seen better than expected numbers. 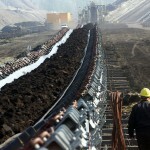 Hundreds of NZ coal mine jobs on the line (0) August 29, 2012 Hundreds of jobs at New Zealand coal miner Solid Energy’s operations are at risk as it carries out a cost cutting review. Xstrata miner injured in Mt Isa (0) August 29, 2012 A female miner has been injured at Xstrata’s Mount Isa Mines operations. Anglo American to cut Moranbah North jobs (47) August 29, 2012 Anglo American will cut at least 50 jobs when its Moranbah North mine reverts back to a single longwall operation. 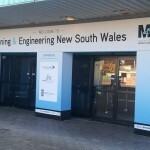 M&E NSW kicks off (0) August 28, 2012 Mining and Engineering NSW has kicked off its first day. 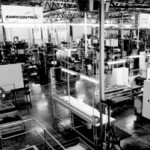 Ampcontrol acquires Primatec (0) August 28, 2012 AUSTRALIA’s largest privately-owned electrical engineering company, Ampcontrol, has acquired automation and process control firm Primatec QDA. WorleyParsons cuts jobs (0) August 28, 2012 Mining and engineering services company WorleyParsons has cut jobs and redeployed staff to help it cope with slowdowns and delays in some parts of the mining sector. Lihir halts production (0) August 28, 2012 Newcrest has halted production at its Lihir gold mine due to a dispute with local landowners. 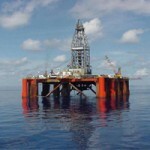 Two workers killed on gas drill rig (0) August 28, 2012 Two workers have been killed on an Origin Energy gas drill off the Victorian coast. Coal miners barricaded in mine, armed with explosives (0) August 28, 2012 Italian coal miners are barricaded inside a coal mine and have armed themselves with explosives to prevent the mine’s closure. BMA shafts Peak Downs expansion (3) August 28, 2012 BMA has halted its planned expansion of the Peak Downs coal mine, however it will still go ahead with its Caval Ridge and Daunia mines. 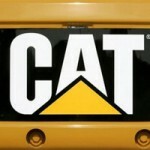 New Caterpillar outlet to open near Brisbane (0) August 27, 2012 Caterpillar’s new outlet outside of Brisbane will create hundreds of new jobs and be a boost for the Yatala community, says the Gold Coast City Council. 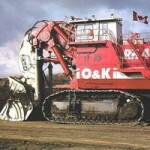 Bankrupt Kagara to sell assets (0) August 27, 2012 Kagara administrators are attempting to sell the company’s assets to raise funds for the bankrupt miner. 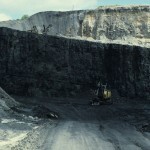 More cuts to come in QLD coal: BHP (0) August 27, 2012 BHP Billiton CEO Marius Kloppers says there is a “broad industry movement” toward cutting jobs on Queensland coal developments. 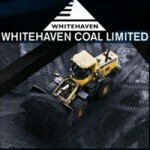 Analysts keen on Whitehaven despite Tinkler’s rumblings (0) August 27, 2012 Nathan Tinkler is losing $4 million a day on his stake in Whitehaven Coal and has dropped plans for a takeover, but analysts still have faith in the coal producer. Uncertainty mounts over Xstrata/Glencore merger (0) August 27, 2012 Glencore’s efforts to launch a takeover of Xstrata are looking increasingly uncertain, with the company missing the deadline to raise its £18 billion offer. 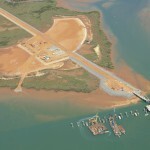 Fortescue to build fifth berth at Port Hedland (0) August 27, 2012 Fortescue has reached an agreement with the West Australian Government and Port Hedland Port Authority to develop a new berth at Anderson Point. 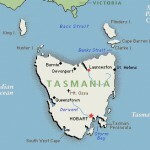 Aussie geophysicist found dead (0) August 27, 2012 An Australian man has died in a plane crash after attempting a coalmine survey in Indonesia. 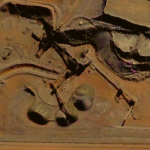 BHP drops another uranium mine (0) August 27, 2012 Less than a week after shelving expansion plans for Olympic Dam, BHP Billiton has sold the Yeelirrie uranium deposit in Western Australia to Cameco for $US430 million. 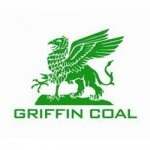 Coal miner detects high metal levels in nearby waterways (0) August 27, 2012 Griffin Coal has released a report which states that high levels of metals have been found in the waterways around the town of Collie. Atlas welcomes new berths at Port Hedland (0) August 27, 2012 Atlas Iron has welcomed the approval for the development of new berths at South West Creek, Port Hedland. 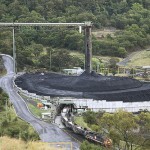 GVK sells Australian infrastructure stakes to build Alpha (0) August 27, 2012 GVK, the majority shareholder of Gina Rinehart’s Alpha coal mine, will sell stakes in its Australian rail and port subsidiaries to build the massive mine. Victoria bans fracking (5) August 24, 2012 The Victorian Government has announced a moratorium on fracking for coal seam gas and unconventional gas reserves. 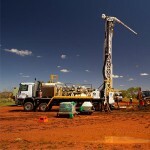 FMG posts strong profit, denies boom is over (0) August 24, 2012 Pilbara miner Fortescue Metals Group has posted a 53 per cent rise in profits, and rejected claims the mining boom is over. 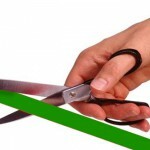 QR National confirms job cuts (0) August 24, 2012 QR National will be cutting more than 700 jobs by the end of the year. Palmer drops political challenge (0) August 24, 2012 Mining magnate Clive Palmer has scrapped plans to challenge Treasurer Wayne Swan for his Queensland seat in the upcoming federal election. 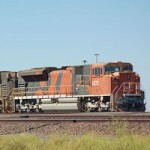 New rail infrastructure for East Pilbara (0) August 24, 2012 Iron ore miners Brockman and Atlas Iron have partnered with QR National to build new rail and port infrastructure in the Pilbara. 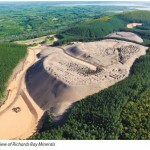 Rinehart’s coal mine wins approval (0) August 24, 2012 Gina Rinehart’s massive Alpha coal mine has been granted Federal Government approval, reigniting a political and environmental stoush between stakeholders. 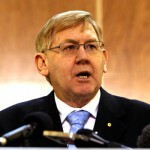 Ferguson backtracks over ‘mining boom is dead’ comment (900) August 24, 2012 Federal resources minister Martin Ferguson has taken a step back from his comments that the mining boom is over. Rio signs FIFO MoU with Busselton (0) August 24, 2012 Rio Tinto has signed a fly in fly out Memorandum of Understanding with Busselton, the first formal agreement for a FIFO program. 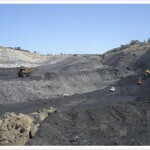 Coal miner fined for blasting (0) August 23, 2012 The NSW Department of Planning and Infrastructure has fined the Integra coal mine for exceeding its blasting limits. 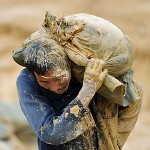 Miners hunt US veterans for $65K-$200K jobs (0) August 23, 2012 The Australian Department of Immigration and Citizenship says it wants to fill 400-500 mining jobs with US workers, and former war veterans could fit some of the roles. 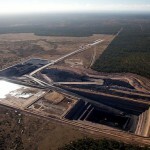 Mining boom is dead: Government (4) August 23, 2012 Resources Minister Martin Ferguson says the mining boom is over, following BHP Billiton’s plunge in profits and decision to shelve plans for the Olympic Dam expansion. 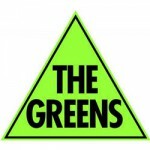 Greens happy at BHP failure (0) August 23, 2012 The South Australian Greens say they are glad BHP Billiton has failed to deliver its $US20 billion expansion at the Olympic Dam mine. 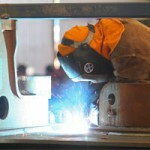 Tradies better off than university graduates (0) August 23, 2012 Workers with vocational education and training behind them are earning significantly more than university graduates, according to new data. 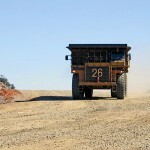 States hit back at Swan’s mining royalty threats (0) August 23, 2012 New South Wales has hit back at Federal treasurer Wayne Swan’s threats to cut funding to the states if they raise mining royalty rates. Fire breaks out at gold mine (0) August 23, 2012 A fire has broken out at Australian miner Medusa Mining’s Co-O gold mine in the Philippines. 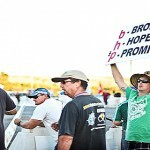 BHP dumps Olympic Dam (5) August 22, 2012 BHP Billiton has cancelled its $US20 billion Olympic Dam expansion, blaming weak commodity prices and spiraling costs. WA miner uncovers massive diamond (0) August 22, 2012 Western Australian mining company Lonrho Mining has uncovered a massive 131.5 carat diamond in Angola. 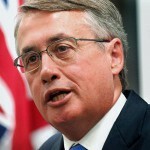 Swan threatens states over royalties again (0) August 22, 2012 Federal treasurer Wayne Swan has once more threatened states over mining royalties rises. 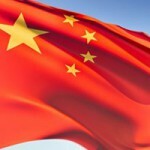 Norton Gold Fields announces new CEO (0) August 22, 2012 Norton Gold Fields has announced the appointment of Dianmin Chen as its new CEO. 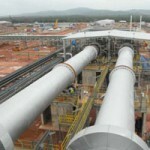 Calibre wins Rio Tinto Yandicoogina contract (0) August 22, 2012 Calibre Group has been awarded a $150 million EPCM contract for Rio Tinto’s Yandicoogina iron ore mine. 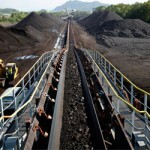 Coal job losses are a “certainty”: QRC (0) August 21, 2012 Queensland Resources Council CEO Michael Roche says further job cuts in the Queensland coal industry are a certainty as companies struggle to stay profitable. QR to test coal dust levels in Brisbane (0) August 21, 2012 Queensland Rail will carry out a series of tests to measure coal dust levels across Brisbane suburbs. 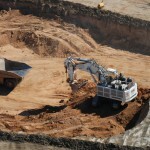 Mining regions missing out on royalty returns (0) August 21, 2012 The New South Wales Government is under fire for breaking its promise to funnel mining royalties back to mining regions. BMA strikes were good for us: Yancoal (0) August 21, 2012 The industrial dispute between BMA and its workers has reduced Australian coal exports and helped boost demand in the weakening market, according to Yancoal. Miners find unique way to battle site theft (0) August 21, 2012 With the high price of equipment on a mine site, the temptation to take it and resell it is too much for some. 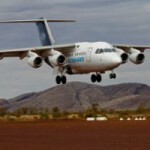 Council looks to ban FIFO in non-remote areas (0) August 21, 2012 A NSW council has put forth a motion to ban fly in fly out miners in the region. 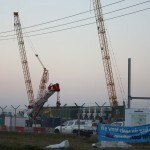 Thousands of foreign workers to fill WA jobs (0) August 20, 2012 Labour specialist Cape Australia has plans to import 2062 foreign tradespeople to fill empty mining jobs in Western Australia. Irish workers looking for WA mining jobs (0) August 20, 2012 The manager of a Kalgoorlie backpackers hostel says Irish workers are flooding to the WA Goldfields to try and take up work in the mining industry. 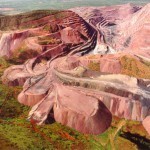 BHP inks massive native title deal (0) August 20, 2012 BHP Billiton has signed a native title deal in the Pilbara that will deliver millions to traditional owners and clear the way for future expansions. 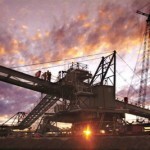 FIFO hardships have miners turning to less experienced workers (0) August 20, 2012 An increasing amount of fly-in fly-out workers are having trouble coping with the lifestyle pressure of mining, and companies are now turning to less experienced staff to fill the gap. 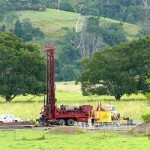 Councils demand greater role in mine approvals (0) August 20, 2012 Queensland gasfield commissioner John Cotter has called on the government to give councils a greater role in mining project approvals. 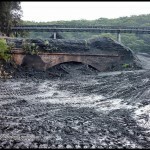 QLD gov to unleash ‘horror’ budget on miners (0) August 20, 2012 The Queensland Government has told miners to prepare for its “horror” budget that will be launched in September. 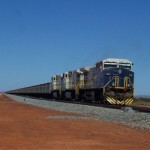 FMG to use satellites to track Pilbara rail (18) August 17, 2012 Fortescue Metals Group will soon use a satellite tracking system to help monitor train movements in the Pilbara. 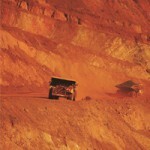 BHP not ruling out further job cuts (0) August 17, 2012 BHP says it will not provide specific information about future changes to its business, but it hasn’t ruled out making further job cuts. 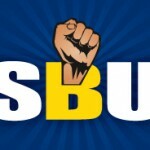 South African police shoot and kill protesting miners [video] (0) August 17, 2012 Footage has appeared online showing South African police shooting and killing protesting platinum miners in South Africa. 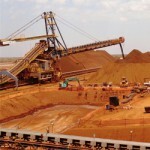 CITIC blames skills shortage and inexperience for delays (0) August 17, 2012 CITIC Pacific mining has blamed weather delays, an “acute shortage” of electricians, and the inexperience of its lead contractor for delays on the Pilbara Sino Iron project. 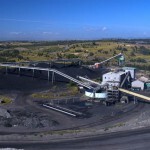 Blair Athol rehab will take six years following closure (0) August 17, 2012 Rio Tinto will need at least six years to fully clean up and rehabilitate its massive Blair Athol open cut coal mine following its closure. 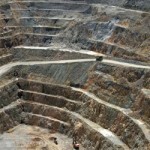 Sixty dead in African mine collapse (0) August 17, 2012 At least sixty illegal miners have died in the Congo after a landslide caused a shaft collapse, burying them all. 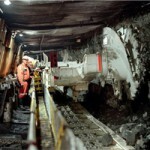 Miners to spend big on IT (0) August 16, 2012 Research house IDC says the mining industry’s investment in information technology is set to rise as companies look for new ways to manage rising costs. Mining still a strong job creator: Shorten (0) August 16, 2012 Mining is a significant new job creator and will continue to be over the next five years, says employment minister Bill Shorten. 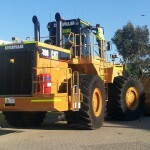 Striking FIFO workers will be refused accommodation (0) August 16, 2012 Fly-in fly-out workers that go on strike will lose their mine accommodation for that period, the Federal Court has ruled. 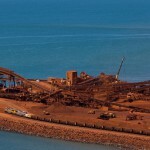 Iron ore miners may lose Port Hedland allocations (0) August 16, 2012 Iron ore miners that do not use their full shipping allocations at Port Hedland may lose their allocation rights. 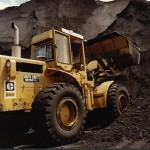 BMA, Rio Tinto, Xstrata cut coal jobs (7) August 16, 2012 Rio Tinto, BMA, and Xstrata have announced job cuts to the contractor workforce on their Queensland coal mines. Esperance lead cleanup complete (2) August 16, 2012 Esperance has finally finished its massive lead clean up and recovery project after the disastrous lead contamination of 2007. WA mine rehabilitation bond system overhauled (0) August 16, 2012 Western Australia’s Government has announced it will create a new fund to replace the current environmental bond system for mine rehabilitation. 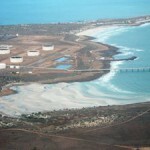 More uncertainty on BHP expansions (0) August 15, 2012 Deutsche Bank has joined a chorus of analysts calling on BHP Billiton to push back plans for its massive outer harbour development at Port Hedland. No experience? 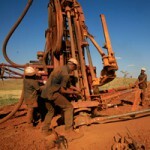 No mining job (0) August 15, 2012 Very few mining companies are looking to hire unskilled workers, says recruitment firm Hays.